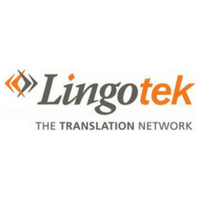 LEHI, UT–(April 2, 2019) – Lingotek | The Translation Network announced that it made more than 100 enhancements to its industry-leading translation management system (TMS) and content management connectors in 2018. The company has added innovative, new features and functionality to its apps for vendor management with multi-vendor bidding, intelligent workflows, weighted word counts and exception management capabilities to make translation project management easier and more automated than ever before. Lingotek uses next-generation technology and AI with machine learning to create Intelligent Workflows that can perform phase automation, dynamic scheduling, and active monitoring. Recent additions to the Lingotek’s intelligent workflows include automatic calculation of partially-completed work in cost and invoice reports if a job is canceled mid-project. In addition, it automatically alerts users whenever a task they are working on has been canceled and prevents any further work from occurring on the task. Lingotek added Weighted Word Counts throughout the TMS. Weighted Words are used to estimate the work remaining on a project/document/target after a TM leverage has been performed. Project managers can use Weighted Word Counts to better estimate turnaround times and costs, as well as distribute work among linguists. The new exception management dashboard gives Project Managers quick-and-easy access to the critical exceptions that need review and/or action. This reduces the need for project managers to perform routine, automated tasks. Instead, they can use that time to perform tasks that are more valuable to the organization, such as problem-solving and responding to urgent issues. 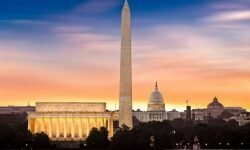 Lingotek added multi-vendor bidding to its Vendor Management App in 2018. Multi-Vendor Bidding allows businesses to more efficiently request, evaluate, and select the best bids from language services vendors. This new feature provides real-time visibility into bid management and improves the efficiency of the bidding process with convenient, customizable groups. Projects are auto-assigned to the winning vendor’s Project Manager. It optimizes localization budgets by letting managers find the best translation vendor bid with the lowest cost. Managers can also streamline project delivery by choosing the vendor who can complete the work the fastest. The Lingotek Portal was introduced in 2018 for convenient access to language services, translation project management, and TMS tools. Customers can use the Portal to request translation language services, and manage, track, and view the progress of translation projects and bid requests. The Portal offers added efficiency for organizations of any size. Small to medium-size businesses can directly request language services, see how much the translation will cost, and pay for it online. Larger, mid-market companies can use the Portal to grant convenient access to their internal community of localization buyers, and enterprise-level businesses can customize user roles and permissions for secure access. The Lingotek Portal also enables convenient management of translation teams and vendors. From the Portal, users can get quotes, approve quotes, and request translations. In addition, project managers can access and create customized rate charts and workflows to provide auto-generated quotes for their localization projects inside the Portal. The Lingotek Portal is available for all Lingotek – Inside Connectors. The Lingotek TMS is designed to use a microservices architecture. There are many technical benefits afforded by a microservices architecture, chief among them code modularity, which makes it easier to quickly develop and release new apps and features. Furthermore, each microservice or “app” can be individually enabled or disabled, which allows Lingotek to customize the TMS to fit any budget or use case. 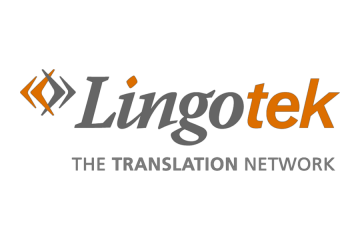 Lingotek was the first to introduce cloud-based translation management system (TMS) technology to the United States in 2006 with the launch of a fully online, web-based, computer-assisted translation (CAT) system that pioneered the integration of translation memories (TM) with mainframe powered machine translation (MT). Lingotek has the most mature, full-featured, cloud-based TMS on the market, providing users with the industry’s most advanced tools for streamlining the translation process. The Translation Network provides businesses with industry-leading translation tools, including an innovative in-context workbench and review function, CAT tool, translation memory, glossaries, style guides, around-the-clock translation, easy-to-use customizable workflows, and more. For project managers, the Translation Network automates, integrates, and streamlines translation with automatic notifications sent to translators, real-time collaboration and project monitoring, and continuous cloud updates. Lingotek | The Translation Network is the only cloud-based solution to connect all of your global content in one place, giving you the power to manage your brand worldwide. Our industry-leading technology pairs with the best enterprise applications and expert language services to continuously push dynamic multilingual content to all of your global markets. Lingotek is based in Lehi, Utah–also known as Silicon Slopes–and is funded by Signal Peak Ventures and In-Q-Tel.